The purpose of this Standard Practice is to outline the limitations and requirements of valves in which a nonmetallic, resilient diaphragm is used to separate the working parts of the valve from the line fluid and also functions in conjunction with other parts as valve closure-member. The use of a nonmetallic, resilient diaphragm causes valves described in this Standard Practice to be different from other commonly used valves for which general and specific Standards and Standard Practices are in existence. These differences include pressure-temperature limitations, face-to-face dimension requirements, and specific service characteristics. This Standard Practice reflects industry practice in the design, manufacture, and application of this type of valve. 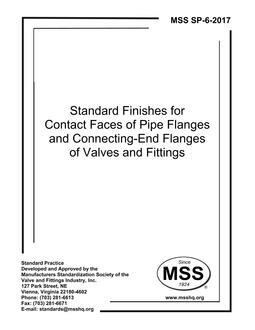 1.1 This Standard Practice applies to valves for general liquid and gas service that effect valve closure by means of a resilient diaphragm sealing against a weir or a diaphragm acting in conjunction with a separate or integral disk-member sealing against a seat, having equal sealing capability in either flow direction, and having diaphragms being essentially made of elastomeric or plastic material or combinations thereof. The purchaser, when referencing the Standard Practice, shall also specify the appropriate category as listed above. 1.4 For specific requirements relating to the dairy industry, refer to 3-A SSI 54.02.